I really do appreciate that Balinese bells are more expensive than mass-produced bells such as Tibetan bells. That’s because of the purity of the metals used to create them, the skill involved in making them, and the time it takes to produce them. Handcrafted items are always more expensive than mass-produced. But they are totally worth it and I’m thankful they exist in the world. I would never have started teaching space clearing publicly if I hadn’t discovered them. It takes a full month to create a space clearing bell, and there are only a handful of Balinese craftsmen and women skilled enough to make them. That’s why they cost a bit more. Without doubt, a highly quality bell is the most important piece of equipment needed to conduct a space clearing ceremony. If you use a lesser quality bell, the results you’ll get are unlikely to inspire you to ever do space clearing again. Your first time will probably be your only time. Balinese bells are the only type I have ever found that are so effective at clearing stagnant energies in buildings and, depending on the skill of the person, can also be used to willfully shatter astral imprints too. I’ve tested hundreds of other kinds of bells in my travels around the world and none have even come close. The level of craftsmanship skills in Bali is extraordinary. The island is, after all, the purification centre of the planet. And the family of master bell-makers I work with produces the highest quality bells in Bali, and has done for hundreds of years. I’ve really done my homework on this. When I wrote my first book, Creating Sacred Space with Feng Shui, I was very mindful of the various types of perverse energies that can be found in some buildings, so I included clear guidelines to minimize the possibility of people picking any of these up while doing space clearing. So this is another reason why, in all honesty, I cannot advise anyone to ‘save some money and have a go with just any old bell’. I have a responsibility to make sure that people have the right equipment to do the job safely, and Balinese bells are the only ones I have ever found of this quality. The truth is, I would not have written my book at all if I had not discovered bells of such high calibre that people could use to do space clearing in their own home. What’s so special about Balinese bells? This entry was posted in Balinese bells, Space clearing equipment. Bookmark the permalink. I would like to buy a Balinese bell for my daughter but I don’t know where to start looking. Do you have any suggestions? 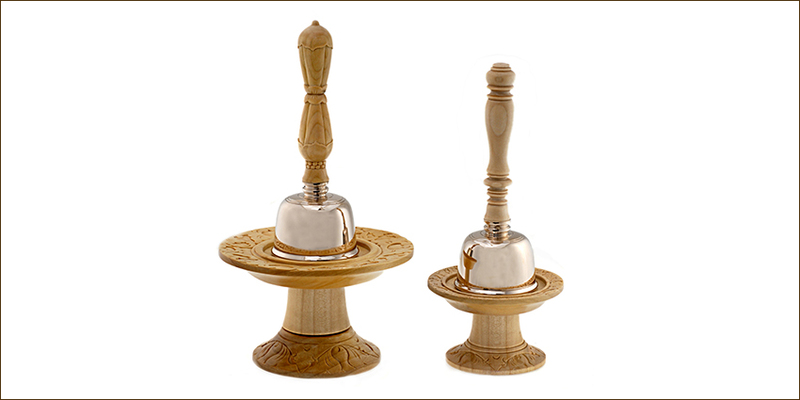 I would love for you to do a blog post on how to effectively use a Balinese bell. I bought one from you and I’m not sure how to interpret the sound it makes. How should I hold it, how loud/soft, slow/fast should I ring it? Do I ring it and wait for the sound to stop and then ring it again or should it be a continuing sound? I keep it on a high shelf in a place of honor. Instinctively, I always deny someone’s request to handle it. It feels sacred and I don’t want anyone, besides myself, to touch it. Hi Jody – I will be including a lot more information about Balinese bells in the new space clearing book I am writing and will be creating an accompanying video on my website showing how to ring a bell. I will give some thought to whether it would be possible to write an article about this in the meantime. I would love to go to Bali with my niece who is very familiar with Bali and a yoga instructor who sets up trips to Bali for her students. Is it possible that she and I could attend one of your classes while you’re there? I will check the schedule. I believe that she has a talent for space reading and I would love to support her in becoming certified in space clearing if she likes it and does well. Where do you suggest we start? Hi Peg – Sorry but you’re 10 years too late. I taught many workshops and professional trainings at my hotel and conference centre during the 20 years I lived in Bali. But I sold up and moved back to the West in 2010 and rarely visit now. If your niece is interested to train with me professionally, there is information about how to do this on my website: Professional Space Clearing Practitioner Training.